A dual ended eyebrow tool. Color and fill in your eyebrows with the angled eyebrow brush. Blend and fix into model with the brow gel with tint. With this tool you will have beautiful professional eyebrows in no time. 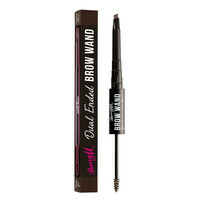 Barry M Brow Wands is a dual ended eyebrow tool. Color and fill in your eyebrows with the angled eyebrow brush. 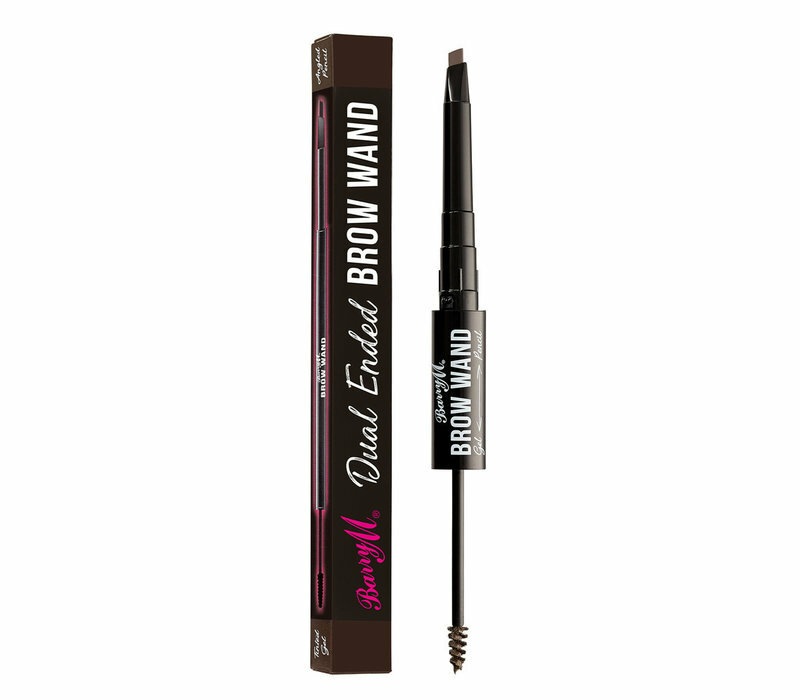 Blend and fix into model with the brow gel with tint. With this tool you will have beautiful professional eyebrows in no time. Dark blond to light brown hair. Medium brown to dark brown hair. Dark brown to deep dark brown hair. Model your eyebrows with the angled eyebrow brush. Blend and secure with the gel. Gel: Sododecane, Kaolin, Talc, Isobutyl methacrylate / Bis Hydroxypropyl Dimethicone Acrylate Copolymer, Styrene / Acrylates Copolymer, Ethylhexyl Palmitate, Paraffin, Di-C20-40 Alkyl Dimer Dilinoleate, Phenoxyethanol, Glycol Montanate, Synthetic Wax. May Contains (+/-): Mica (CI 77019), Titanium Dioxide (CI 77891), Iron Oxides (CI 77491, CI 77492, CI 77499), Calcium Carbonate. Pencil Candelilla Cera, Synthetic Wax, Isododecane, Ethylhexyl Palmitate, Caprylic / Capric Triglyceride, Copernicia Cerifera Cera, Paraffinum Liquidum (Mineral Oil), Phenoxyethanol. May Contains (+/-): Titanium Dioxide (CI 77891), Iron Oxides (CI 77491, CI 77492, CI 77499).